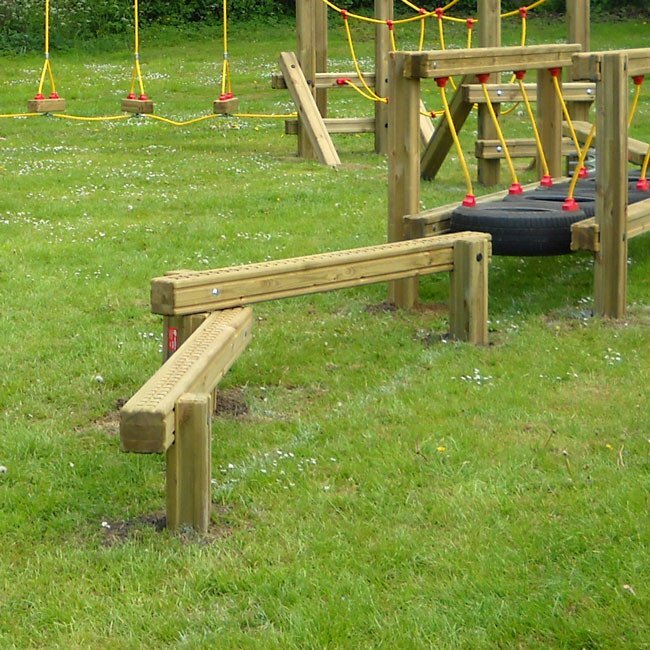 Simple in design yet challenging to a young child. 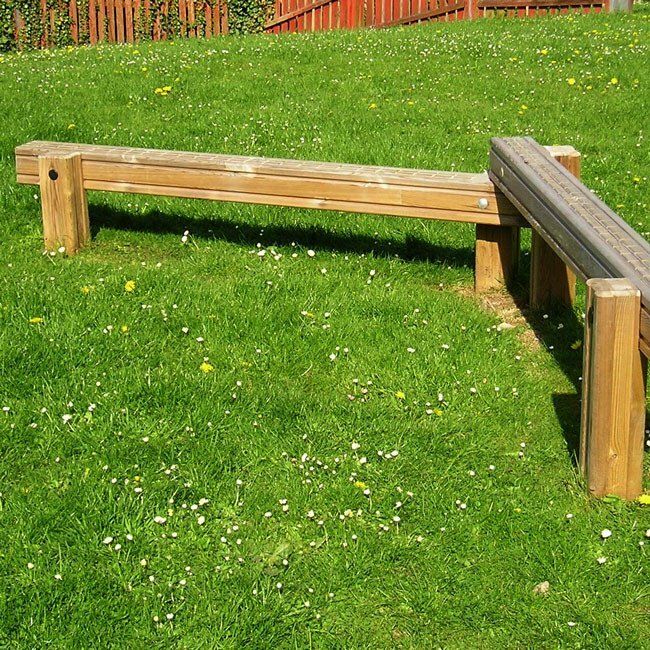 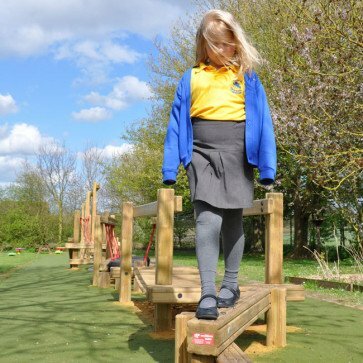 Our pair of balance beam with two different heights are great for providing an agility challenge. 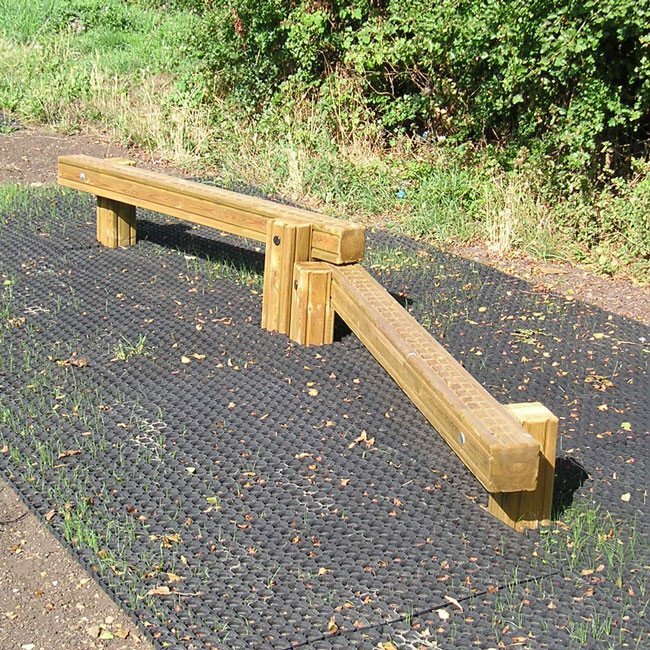 Balance beams are great for linking trim trail units together to for a continuous trail.